Senior Partner at CGO Business Consulting, S.C.
20 years experience managing business and IT projects. Program Manager in several large companies: UNISYS and CIFRA (now WALMART) among others. Castro, González, Ornelas Business Consulting, S.C. Consultant specialized in IT and business program management, implementing IT applications and platforms, setting up KPIs and business goals with skills to coordinate operative processes in administration, commercial, logistics and information technologies areas. Mapped processes and developed operations manuals for Maskota, Extra, Vicky Form and Häagen-Dazs, among others. Responsible for Key Corporate Accounts, Government & Education Channels. IT for business solutions’ sales, complex design for customers’ solutions, service to key corporate accounts and the development of Government and Education channels. Sales and Customers’ Relationship Management. First sale accomplished in three months, first out of portfolio solution designed and sold in six months. Business Intelligence, Human Capital Management, Digital Rights Management, Business Process Management and Network Security platforms plus Leadership, Management Skills and Executive Development e-learning programs sales expert, managing projects starting at USD 10,000.00 and up to USD 1'000,000.00. In Mexico (and generally in countries where a substantial portion of their population lives in conditions of poverty) using concepts such as "creation of wealth" is tantamount to something negative. And it is even worse to speak of creating wealth with low-level socioeconomic customers. This is a paternalistic, non-productive view which results in more poverty in the medium and long term. No doubt there are people who need financial help through free-assistance programs. No doubt there are huge ill-obtained fortunes made on corruption and the exploitation of the poor. We hope there is less of each every day. En Confianza seeks to serve customers that have productive capacity and to serve them in a transparent way by adding to our company honest and intelligent people who have an entrepreneurial vision of the future. The creation of wealth is an essential requirement for the sustainable and long-lasting attainment of a better standard of living. Without it, any company, individual, family or government has to resort to unsound indebtedness and/or to the assistance of a third party to survive. This just doesn't work in the medium and long term. Everyone, but especially companies, have to create wealth in order to be able to grow, to keep the jobs they create, to be competitive and to ensure they can continue to provide their products to society and to be responsive to the confidence of their shareholders and creditors. If the management of a company fails to create wealth, wealth is destroyed. The result of an efficient operation –with clear goals and objectives- allows the company to create the value added that compensates the shareholders by paying dividends and/or increasing the value of their stock, the employees through their salaries and benefits, and the community by paying taxes and participating in social programs. En Confianza's participation in achieving a better quality of life for our customers and their communities must always be the result of making our operation profitable. It is the only way in which we can provide the ongoing and continuous loans they need. It is the only way we can have the resources required to participate in, and to promote, positive social programs. Responsible for the Acceleration Program of Q-Lab, targeted to small and medium size growing companies (USD 200K and up / Year revenue), offering consultancy in different business areas; Top Management skills development and Networking. Managed a business experts pool (20+), venture capitalists and government liaisons. The companies in the program averaged 25% annual revenue growth. Responsible for promoting and pursuing complex sales and implementation for IT projects coordinating the country team. 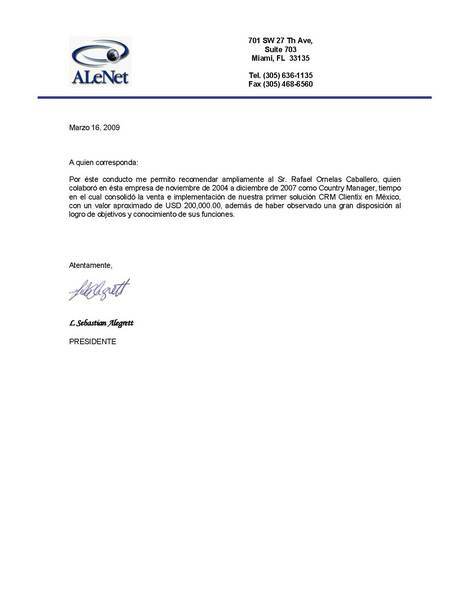 Sold and implemented the 1st Alenet CRM solution in Mexico. Development, implementation and supervision of information technologies services (hardware and software). Maintenance program supplier for hardware and network infrastructure managed technical and sales teams. Sales of custom made software applications for financial analysis, payroll, retail, restaurant and drugstore management. 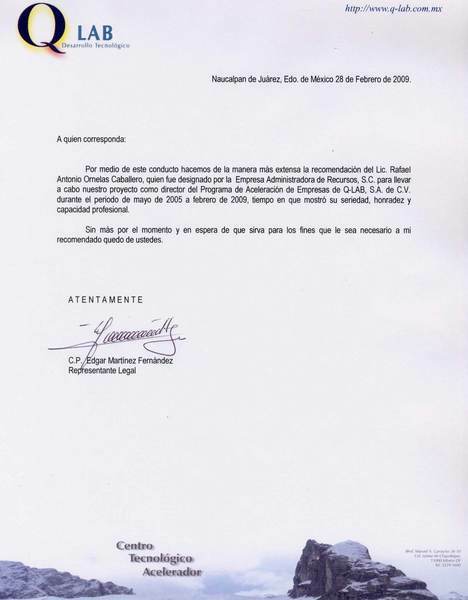 Trabaje con el por un par de años en distintas consultorias a empresas. El realizaba la función de coordinacion y lo hacia de forma eficiente y efectiva. 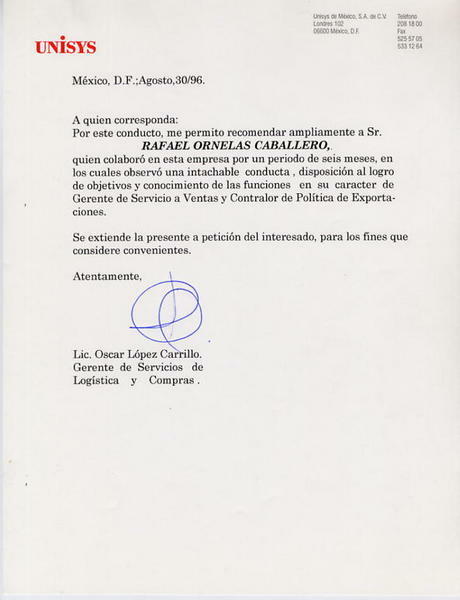 Considero que es una persona muy seria y un profesional de su trabajo. Lo recomiendo ampliamente como una persona para hacer negocios con el o contratarla. Rafael has the ability to manage several projects at the same time, goal oriented and focused on each project times and resources. Leads new projects with enthusiasm. Skilled in Project Management, CRM's, Business Development and IT. Rafael is a very ethic, talented & top trained executive, strong focused, with excellent particular skills in the fields of Customer Relation Development & Business Management. always oriented to sponsor & promote the team work during our business together. Then I am pleased to extensively recommend him. 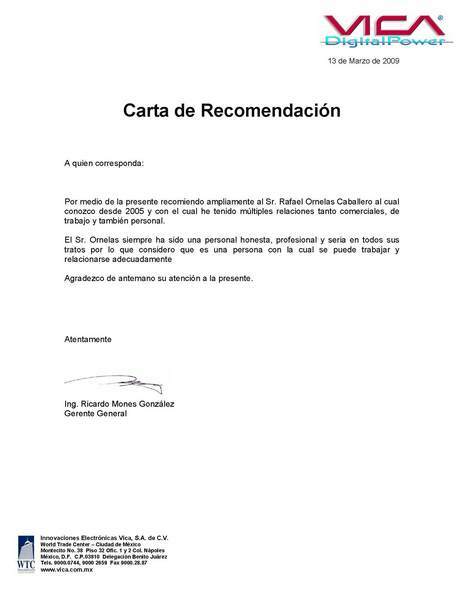 Rafael posee unas habilidades muy especiales de coordinación, seguimiento y ejecución de proyectos generales de consultoría. Sus capacidades, conocimiento y experiencia lo hacen una persona confiable en el desarrollo de su trabajo.